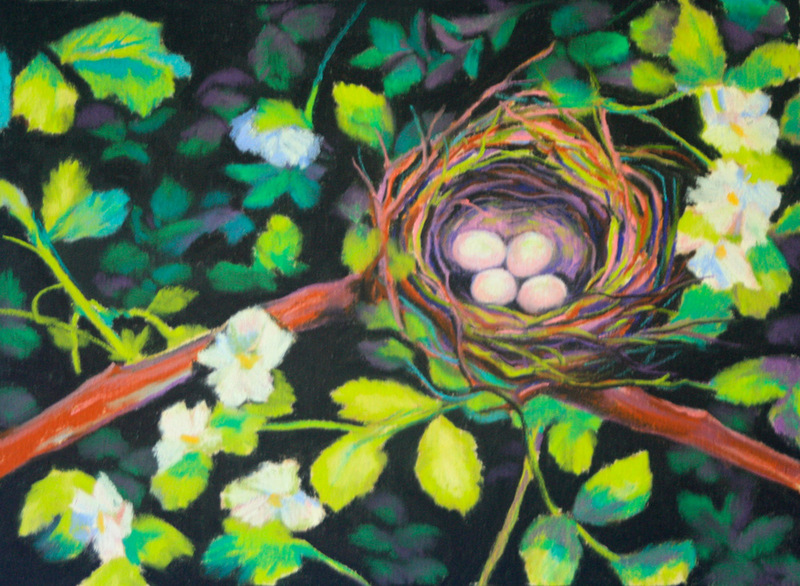 "Safe Among the Berry Blooms"
Another addition to my nest series. I particularly enjoyed the rhythm the leaves and vines seems to carry around the nest itself. Almost lyrical.